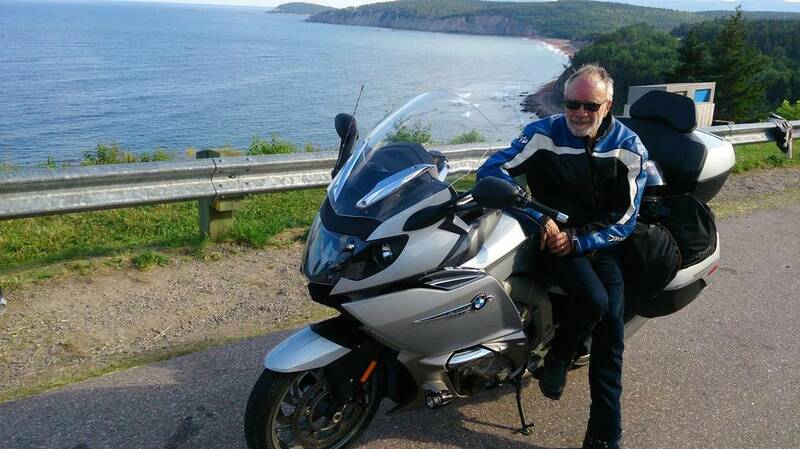 Riding two-up and top-heavy on the spectacular Cabot Trail near Ingonish, N.S., I wasn’t looking forward to a section with steep ascents and hairpin turns. It didn’t help when my rusty riding skills put me into a 180-degree bend two gears too tall, fighting an embankment as steep as the side of a saucer. 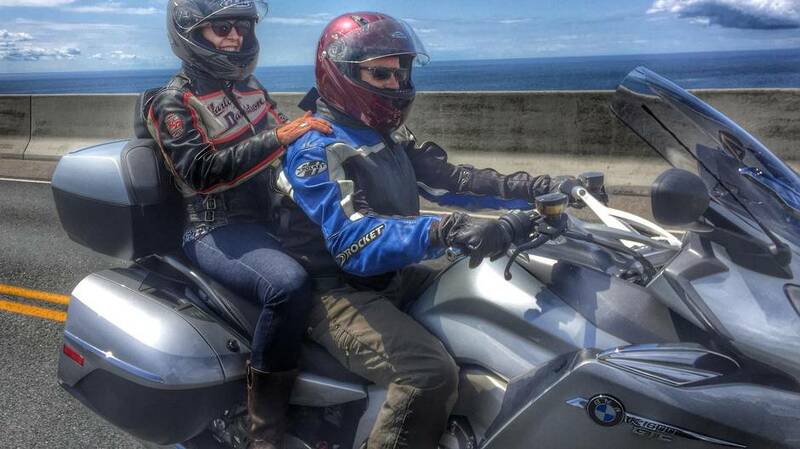 No problem, my BMW K1600 GTL purred. I got this. 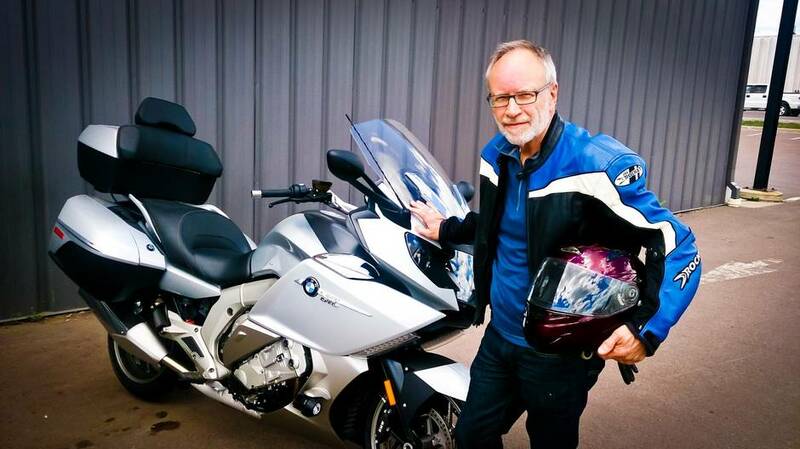 A flick of the electrically controlled throttle delivered an instant rush of torque that righted this sophisticated machine and made me look like a pro in front of my brothers-in-law, who were following close behind, one on a Honda Gold Wing, one on a Harley Davidson Electra Glide. I allowed myself a brief glimpse over my shoulder to relish the moment. My wife, on the back, gave me a now-familiar poke in the ribs. “I was worried about you going into those hairpins,” Mike confided later. Me too, bro. While he may have had reason to question my hand on the tiller, there was no reason to worry about the agile K1600 GTL. 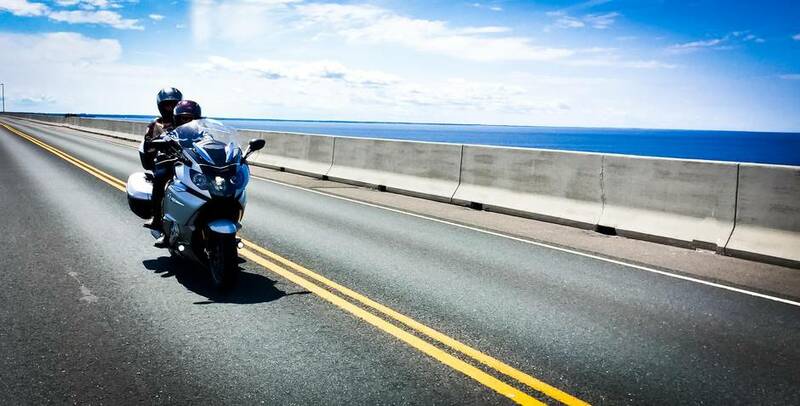 Since it entered the market a little more than five years ago to challenge Honda’s Gold Wing for touring-bike royalty, the K1600 line has established itself as the Tarzan of the class – borne in civilization, happiest pushing its limits in the concrete jungle. 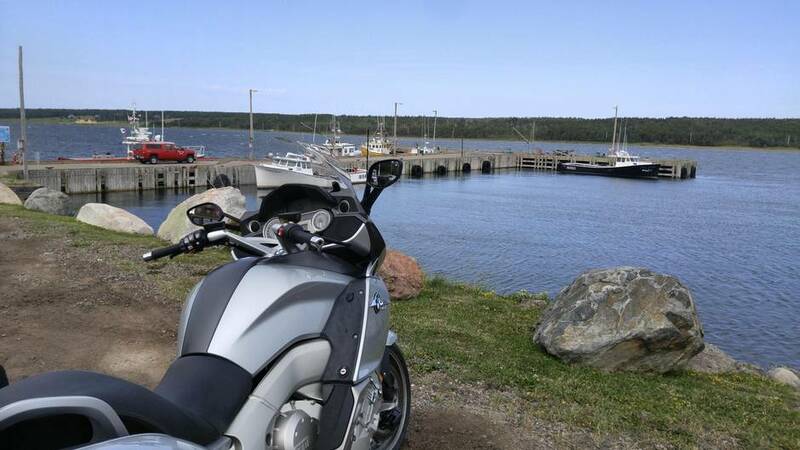 I spent eight days ripping across Canada’s East Coast, from Halifax to Moncton, Digby to PEI’s Cavendish Beach, Cape Breton to Peggy’s Cove … and everywhere in between. By the end, I was head-over-heels in love, although in my heart I knew it deserved far better than me. But it’s not the touring bike for everybody, and this excursion with my brothers-in-law (each with one of my wife’s sisters as passengers) underscored the dichotomy. Chris is an auto worker from Windsor, Ont. 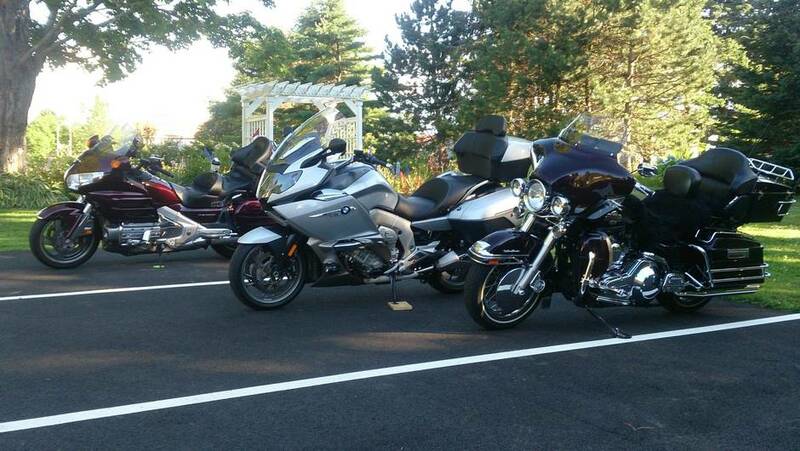 His “buy-American” pedigree pushed him to an H-D Electra Glide Ultra. Although it’s a few years old, it looks like it just rolled out of the show room. The Harley is all retro and chrome. The neomodern Honda evokes a fifties-era space cruiser. The Bimmer, however, has the aggressive and aerodynamic look of a bike that puts function above all. In fact, the core of the machine speaks to its Germanic workmanship: Unlike the Honda, for example, which hid its frame welds under trim, BMW proudly shows off the immaculate seams on its magnesium alloy frame. 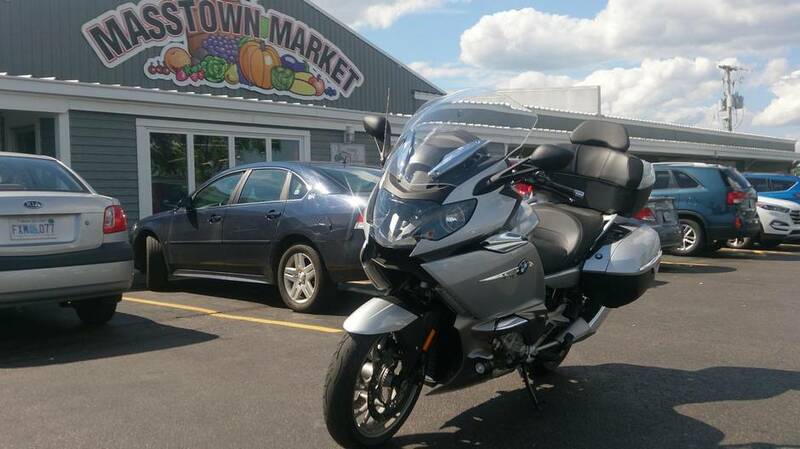 The K1600 comes with what most critics agree is the very best motorcycle engine on the market today. This six-cylinder power plant is, impossibly, a super-slim 66 centimetres wide, yet puts out a truly frightening 160 horsepower and 129 foot-pounds of torque. And it doesn’t have to be hitting redline to do it. In fact, there is remarkable pulling power available below 2,000 RPM, which comes in handy when your shifting foot has fallen asleep. Bonus – the water-cooled motor is so quiet, you’d never think it’s working up a sweat (which, in fact, it’s not). The luxury features are as numerous as they are welcome. Heated hand-grips, heated seats, keyless ignition, electrically adjustable suspension on the fly, cruise, a stereo system that finds all the local radio stations with the push of a button, a power-tilting windscreen, a “hill-assist” braking feature perfect for Halifax’s steep streets … and much more. And the ergonomics are so well thought out, you can step off at the end of 10-hour day and still actually walk. The external bobs were the only disappointment found in this, one of the most expensive production bikes (lists at $30,500) on the market. The moulded plastic saddlebags, while light, felt flimsy and the chrome trim was actually stuck on with what looks like double-sided tape. Curiously, a 360-kilogram machine should also come equipped with some protective bars (they are a highly recommended option). One errant tap by car in a parking lot, as this one apparently suffered as we lunched in Charlottetown, makes short work of the very vulnerable plastic bits on the side. It is also not the best ride for the passenger, who is seated high enough to see over the driver. Tearing down the beautiful-but-blustery Route 102 from Truro to Hubbards Beach at 130 km/h left my long-suffering partner punch drunk, the victim of a punishing 15 rounds with the wind. Even at full extension, the windscreen provided lots of protection for me but not for her. And I had to constantly correct for the side buffeting. Score one for my riding mates, whose heavier, more bottom-weighted machines were virtually untouched by the breeze. On the flip side, even though this beast had a 25-per-cent power advantage over its nearest rival, it was thriftiest on fuel, with a potential range north of 500 kilometres. Thrift is the last thing on your mind, however, threading through the serpentine Route 3 along Nova Scotia’s south shore. As you tilt, shift, brake, and slingshot away from the B-I-Ls and then set up for the next bend, you know this is what the K1600 is made for. I relished the thought of ditching the detachable bags and heading out solo to push this beast to the considerable limits of its sticky Metzeler Roadtec ZB tires. Perhaps it is best that I never got the chance to do that. That may be an exaggeration – for one thing, it weighs too much – but it’s not entirely wrong, either. It is unique among touring motorcycles, an over-achiever built for advanced riders who prefer not to doze with cruise control on. It took me a week to get comfortable with its hyper-sensitive electronic throttle control and “let’s play” sporty setup. By then, I got it. This stunning tourer has a thoroughbred’s heart.